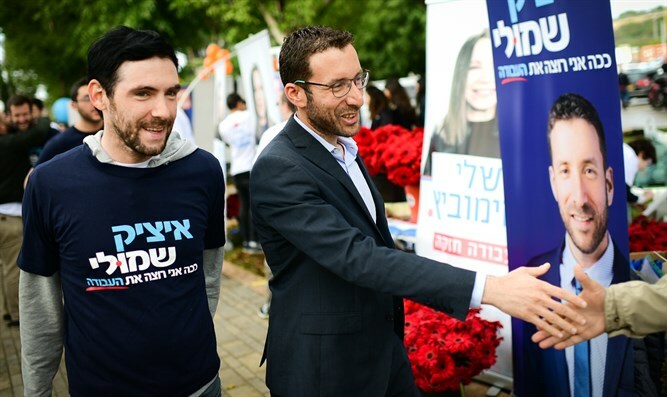 MK Itzik Shmuli, Stav Shafir, Shelly Yechimovich and Amir Peretz were placed in the first four places in Labor's primaries that took place on Monday. 33,690 members of the Labor party chose the party's list for the 21st Knesset. The attendance at the elections was 56.3%. MK Itzik Shmuli thanked the voters of the Labor Party for having chosen him to the best place and said: "I am very enthusiastic and thank the thousands of members of the Labor Party for their great trust in me today." "The Labor party presents the audience with the highest quality and the most diverse team that will run together tomorrow and without fear, so that the party that has established the state will reestablish its leadership." Thank you! " Shmuli added. MK Shelly Yechimovich, who was third in the Labor Party primaries, told Reshet Bet"The president of the Histadrut worked against me with all my might, but the number of voters balanced it." I was very happy that my situation would be much worse. "The free public expressed itself against all deals." "Eitan Cabel has disappeared and I will do everything to make Eitan's place realistic," she added. MK Betzalel Smotrich (National Union) reacted to the results of the primaries and said that "the Labor party chose Meretz 2, the original is preferred."